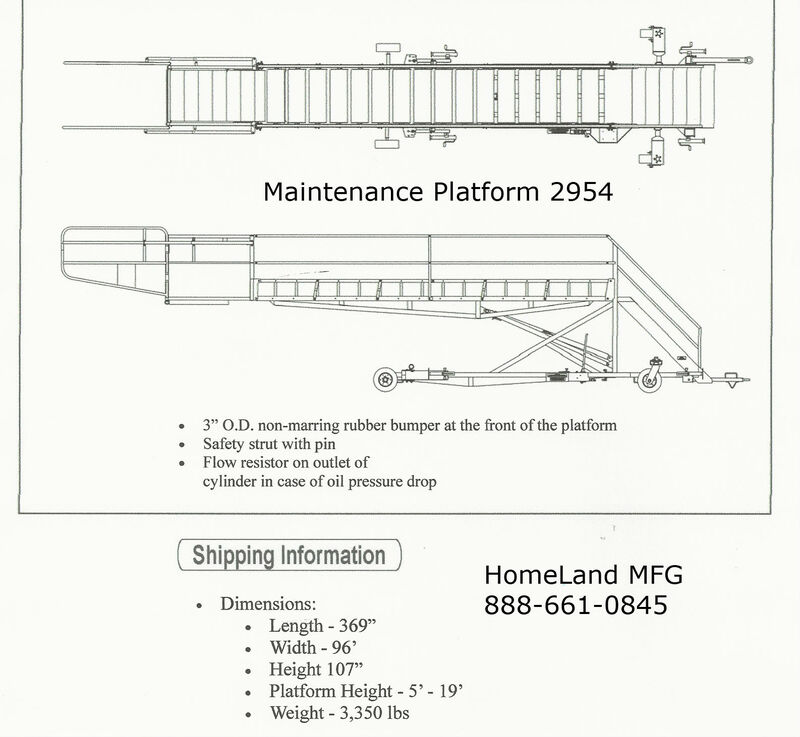 Maintenance Stand 15F2954 Hydraulically Elevates 5' to 19'. 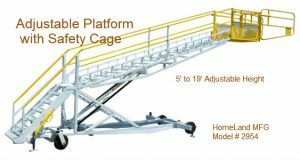 Parallelogram of Welded Tubular Steel Frame, Bracing and Serrated Steps automatically keep platform steps level with ground at any height. The Maintenance Stand 15F2954 also has an Extended Swing-Out Safety Rail system.